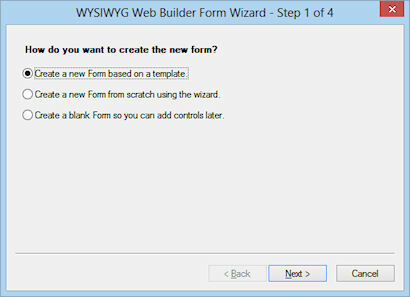 To launch the Form Wizard click Menu->Insert->Form->Form Wizard and draw a box on the page to indicate where the form will be inserted. 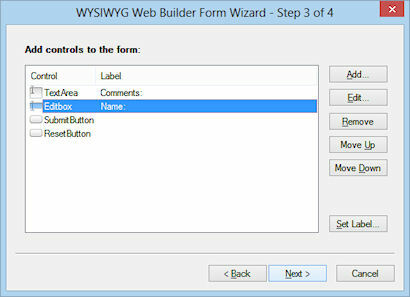 recommend using this option unless you are sure all the users of the form have setup their browsers/mail correctly. to process the submitted data. edit, move elements just like other with objects. 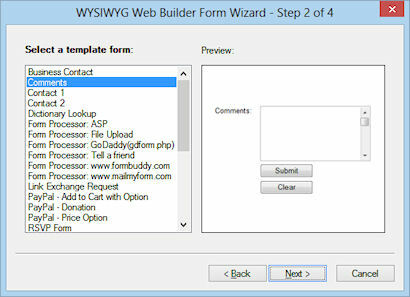 If you want to add new items just make the form larger and drag the new item on the form. 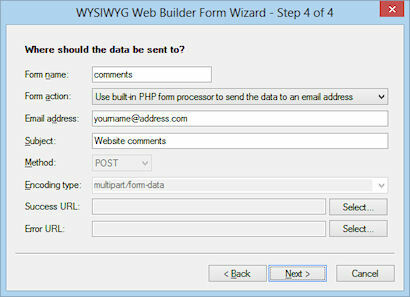 Set the file extension of the page to PHP! code. You can change the file extension of a page in Page Properties. used as the 'from' address for the message. This field name is case sensitive! So do not call it Email or eMail.